Case Closed is a true crime podcast about the times the bad guy didn’t get away with it. Season 2 follows the murder of Atlanta businessman, Rusty Sneiderman. On November 18, 2010, Rusty was shot dead in broad daylight in the parking lot of his son’s preschool. This crime explores much more than just murder. Who really pulls the trigger? Season 1 followed the murder of Erin Corwin, who was just 19 years old when she kissed her husband Jon goodbye at the Marine base in Twentynine Palms, California, and headed to Joshua Tree National Park. It was the last time anyone would ever see her alive. This episode opens with Rusty's funeral and mourners gathered in a cemetery. The discovery of a small detail will point the investigation to one person. Can't wait to hear the rest of the season? Listen to all the episodes ahead of time on Stitcher Premium. Go to StitcherPremium.com/caseclosed and use the code CLOSED for a free trial. Andrea and Rusty–a seemingly perfect couple. What secrets are hidden behind closed doors? Four gun shots ring out in a pre-school parking lot. Rusty Sneiderman is dead. Who killed him and why? The trial for the murder of Erin Corwin was over. After deliberating for only 15 minutes, the jurors had come to a unanimous decision: Christopher Lee was guilty. As the decision was announced in the courtroom, Erin’s family and friends felt relieved. The days of gruesome testimony and reliving what had happened had come to a close. For Erin’s family and friends, it was time to move forward. We check in on Erin's family and friends — and learn how her story continues to make an impact. Shanna Hogan's Secrets of a Marine's Wife is out everywhere now. You can also listen to the second season of Case Closed early on Stitcher Premium with the code CLOSED. For more great stories, check out The Hollywood Godfather and subscribe to the Macmillan Podcasts newsletter. Christopher Lee’s trial for the first degree murder of Erin Corwin was finally underway, after years of legal maneuvering and delays by the defense. Erin’s friends and family had gone on the stand, and authorities had testified on the evidence the San Bernardino County Sheriff’s Department had collected. An expert said there was a 1 in 16 billion chance that DNA samples found in the mineshaft where Chris dumped Erin’s body belonged to anyone else. It seemed like the case was closed. But then, something unusual happened. On Thursday, October 27, the defense called their first and only witness: Christopher Lee. This week, we'd like to tell you about another true crime podcast you might like: Unsolved. More often than we'd like to believe, people get away with murder. On the podcast Unsolved, hear these real-life mysteries. Subscribe here, or wherever you listen to your favorite podcasts. For more great stories, subscribe to the Macmillan Podcasts newsletter. Erin Corwin's story was gaining national attention and media interest. Meanwhile, detectives were still focused on gathering enough evidence before the trial began. As notable witnesses finally took to the stand to testify, Erin's friends and family wondered if the case against Christopher Lee would end in a conviction. For more great stories, check out The Vanishing Man and subscribe to the Macmillan Podcasts newsletter. Hundreds of volunteers and law enforcement officers spent eight weeks and over 5,000 hours searching for Erin Corwin. In the end, the discovery of Erin’s body at the bottom of a mineshaft in Joshua Tree National Park was a big deal — and not just because the search had been so difficult. Without a body, it would have been almost impossible to convict Erin’s killer. And shortly after she went missing, the San Bernardino County Sheriff’s Department was almost positive they knew who killed Erin Corwin. For more great stories, check out The Moroccan Girl and subscribe to the Macmillan Podcasts newsletter. "I was determined — see, I’m the kind of person where I get sent on a mission and I don’t give up. I won't stop until I find her." When Erin Corwin went missing, it became clear to the detectives investigating the case that there was foul play — and there was one suspect who quickly rose to the top of their list. But before we get into how exactly Erin died and who killed her, we’re going to skip ahead — to the search for Erin’s body, in the desolate desert setting of Joshua Tree National Park. Because although many murder investigations are somewhat straightforward, the rescue and recovery operation to find Erin Corwin was anything but. You can preorder Shanna Hogan's Secrets of a Marine's Wife now. You can also listen to the second season of Case Closed early on Stitcher Premium with the code CLOSED. Erin Corwin had settled into life on the Marine base in Twentynine Palms, California. She and her husband Jon had befriended their neighbors, the Malakies and the Lees, and the three couples had become very close, spending most of their time together. But by the next spring, the relationships between the trio would be changed forever — and by June, Erin would be dead. "Nobody comes to Twentynine Palms on purpose. And they're all there for the same reason." Erin Corwin had left her family behind and moved to California to join her husband, Jon, on the military base in Twentynine Palms, a remote town in the Mohave Desert. What was Erin's life like there? Who were the new friends she made? And where did it all go so wrong? You can preorder Shanna Hogan's Secrets of a Marine's Wife now. 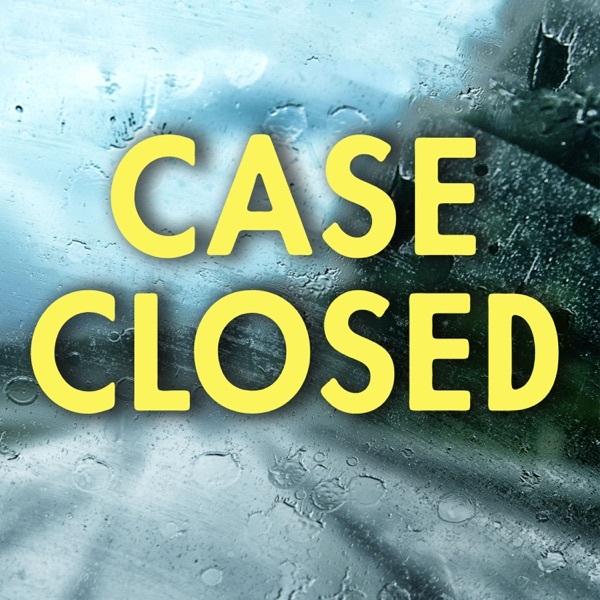 You can listen to the second season of Case Closed early on Stitcher Premium with the code CLOSED. On the last day of her life, Erin Corwin awoke around dawn. She was going to Joshua Tree National Park, where she said she was scouting trails for an upcoming visit with her mother. She took her cell phone, kissed her husband goodbye, and headed off for the day. But Erin would not come back from her trip alive. Who was Erin Corwin? How did she go from being a sheltered teen from a small town to a Marine wife with so many secrets? And how did she meet such an untimely end?